The World’s first HDBaseT™ Certified Graphics Card, compatible with other HDBaseT products. Able to drive 6 different 4K 30Hz Displays at the same time using CAT cables. High-performance graphics card with long distance capabilities for professional HDBaseT audiovisual installations. 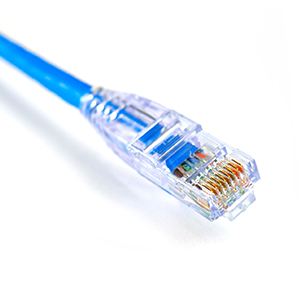 Built in bi-directional emulated controls (IR / RS232 / CEC), allowing you to avoid the cable mess found in extenders. Do you really need to increase the points of failure and increase the use of legacy electronic waste in your installations by using additional cables for RS232, CEC, IR in and IR out? With TA6 Performance, you do not need to, a single CAT cable does all of this including your Audio / Video needs. World’s first graphics card to have emulated controls giving you the IOT power over your displays/projectors. 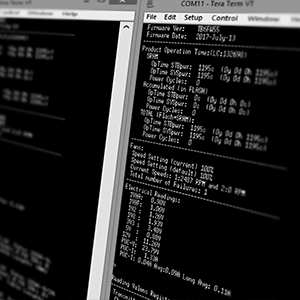 TA6 Performance has Infrared (IR) & RS232: Encode and decode IR and RS232 signals through Serial Console. The power of a universal remote control and the power to sniff and read any incoming IR and RS232 signal, copy the signal, and send the signal back out. Emulation of any RC5 or CIRC IR commands. World’s first graphics card with pass through IR. …. 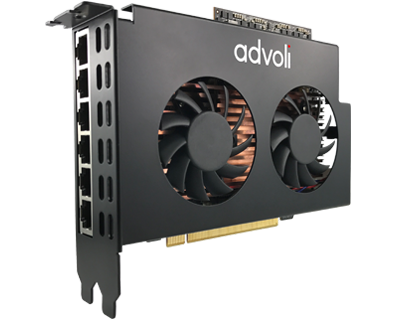 the advoli™ TA6 Performance Graphics Card has one IR input and one output port for an IR Blaster and an IR receiver. Dual-width PCIe half length form factor specification in parenthesis. Please note the height difference. 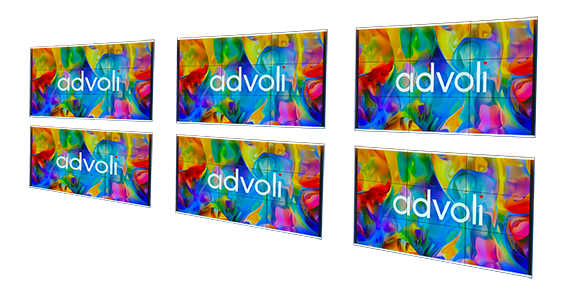 The advoli™ TA6 Performance Graphics Card comes with HDBaseT™ diagnostic features: cable distance, signal quality and signal integrity for each twisted pair on CAT cable. The graphics card is packed with environmental sensors/controls/information: voltages, temperature, fan speed, operational hour, power cycles and display/projector connectivity. 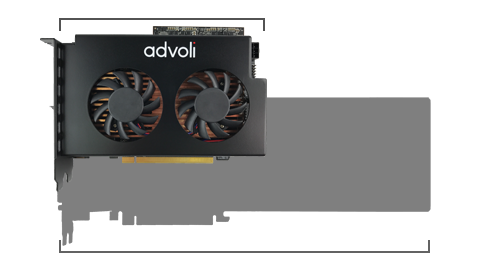 The advoli™ TA6 Performance Graphics Card comes with dual ball (double) bearing fans extending the lifespan of the fans and ensuring consistency in performance. Having two double bearing fans allow for redundancy – should one fan fail the other will increase speed to compensate. Both fans are set to operate at lower RPM to increase the life span of the fans and to increase with elevated temperatures of our on board temperature sensors. When designing the advoli™ TA6 Performance Graphics Card we had three core items in mind while driving for simplicity. Flexibility – we wanted to ensure you were able to use your preferred processor brand in as many different types of motherboards as possible. 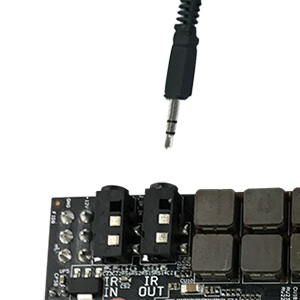 Functionality – we wanted to give you more power over your graphics card functionality, pushing IOT solutions and driving more functionality over one cable. Performance – we wanted to ensure what we delivered was robust and could scale performance based on need. We tested a multitude of cooling solutions and found out our own custom design gave the best performance for our form factor. All over a distance of 100 meters / 328 feet per hop. 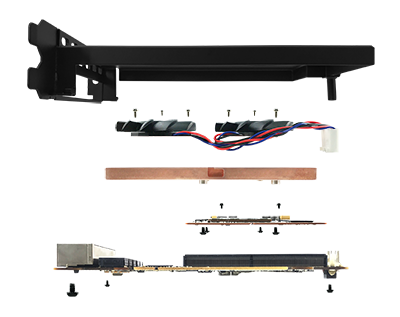 6 x 4K HDBaseT channels that can drive 6 unique or cloned video content over 100 meters / 328 feet. 450W or greater system power supply, assuming 160W spare power for Graphics Card. Third party testing lab completed, submitting documents to each regulatory body. A dive into the technical performance, functionality, dimensions and installation guide of the HDBaseT™ Certified advoli™ TA6 Performance Graphics Card.